The MBYLL Jamboree is a very large, very fun event! If you cannot make the games please let your coaches know. Anticipate 40-45 minutes' drive time to get there. Plan to be on the field and ready to play at least 30 minutes before your first game. There will be plenty of parking, however there is a single road that everyone drives in on, so expect traffic. All boys should wear their game jerseys, pinnies AND bring your equipment! The fields are typically marked with numbers hanging from the nets. Ready or not, all games start on time. 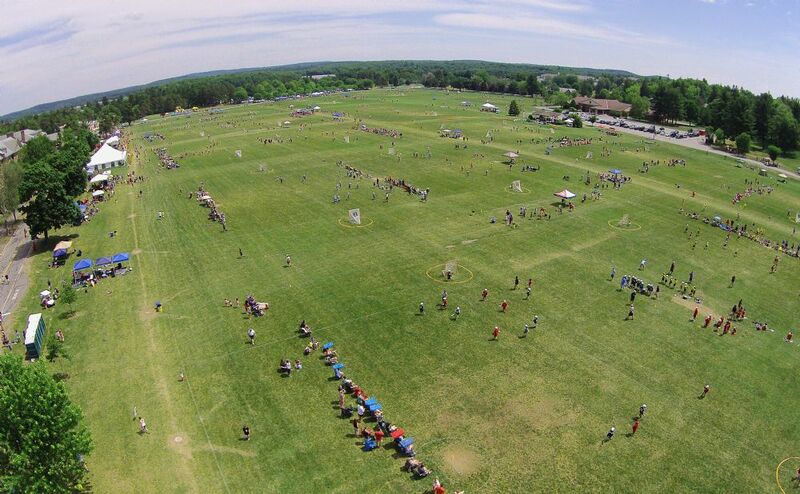 This is the largest Youth Lacrosse Jamboree in the country. We will have over 480 teams playing on at least 12 different fields from 8:00 AM in the morning until 6:00 PM at night over two weekends. There will be lacrosse equipment sales, food and beverage, games, clinics, and much more. Ask our experienced players and parents about this event; it is not to be missed! The Jamboree staff makes every attempt to provide 3 games with teams that your team does not normally play. However, some teams may be asked to play a 4th game in order to balance the schedule. The Jamboree staff tries in general to have team play in a format of game-on, game-off. Teams maybe scheduled with two games off and in a rare exception three games off.